As hundreds of Indonesians have left in recent years to join radical groups in the Middle East and with the National Police’s counter-terrorism unit Detachment 88 continuing to make arrests to ward off the real threat at home, mainstream Islamic organizations are looking for ways to prevent radicalization among their followers. In the wider perspective, they are presenting modes of thought that aim to influence the global discourse on Islam and violence. Nahdlatul Ulama (NU), the country’s largest such group, has been in the limelight with a campaign to win hearts and minds as part of its Islam Nusantara initiative, which has developed in conjunction with an increasingly militant stance vis-à-vis local hard-liners. By comparison, much less has been written about its rival of old: Muhammadiyah. While both groups strongly support the Unitary Republic of Indonesia (NKRI), their inclusive understanding of the faith and views of their respective roles in society have different roots. NU’s ideology is based on the teachings of respected elders, or kyai, whose rulings are firmly embedded in the Syafii school of Islamic jurisprudence, or fiqh. Muhammadiyah, a reformist organization that predates NU and rejects its traditionalism, is not confined by any school of fiqh, or maddhab, and – similar to past ideologues from the Middle East linked to present-day Salafi jihadist groups – its scholars stress the need to return to the Koran and the exemplary conduct of the Prophet Muhammad, or Sunnah. While Muhammadiyah’s central leadership board is stressing the rule of law and protection of human rights in the fight against terrorism, young activists from the organization’s progressive wing are now proposing to reinterpret several key concepts within Islamic jurisprudence to wrest control over their faith’s tenets back from the hard-liners. Muhammadiyah with its agenda of Islam Berkemajuan, or Islam for Progress, might be the perfect vehicle for such a proposition, but the idea does have its detractors, both inside the organization and out. 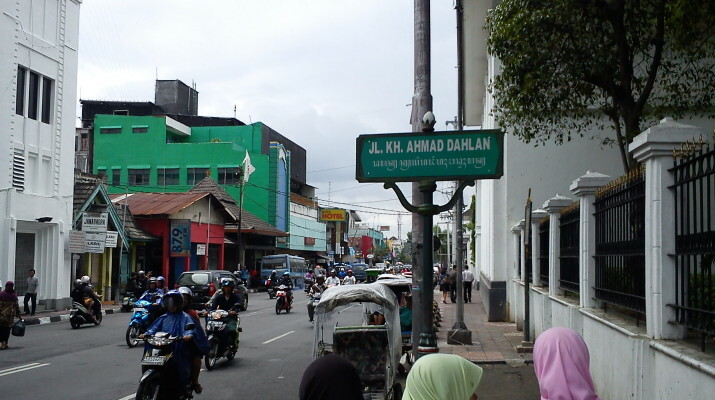 Muhammadiyah is one of the most important Islamic organizations in Indonesia today. Its rapid rise since its formation in 1912, mainly through the establishment of modernist schools, and its pronounced opposition to syncretism and the practice of blindly following established beliefs led traditionalist religious leaders at the time to counter with the foundation of NU in 1926. In recent years, both organizations have come under increasing pressure from various hard-line groups with political agendas emanating from the Middle East, with the Islamic State of Iraq and Syria (ISIS) being the latest expression of the violent Salafi-jihadi fringes of that broad movement. At the same event, organized by the Maarif Institute for Humanity and Culture, Muhammadiyah central leadership board chairman Haedar Nashir said that extremism cannot be fought with extreme measures, as that would only lead to more extremism. Muhammadiyah claims a membership of some 50 million and besides mosques, schools and universities, it runs hospitals and charities all over the country. The Maarif Institute is an NGO founded by former Muhammadiyah chairman Ahmad Syafii Maarif. It promotes an understanding of Islam that embraces democracy, diversity and social justice. Although formally independent, it has links to various top Muhammadiyah figures. Nashir, for instance, is on its board of trustees. Maarif chairman Fajar Riza Ul Haq and M. Abdullah Darraz, the organizer of the anti-terrorism seminar in Semarang, told Concord Review that a lot of key Islamic concepts are misunderstood and used by extremists to wreak havoc for political ends. By re-examining those concepts, they argue, a counter-narrative can be constructed to take back Islam from the hard-liners. The idea to utilize Islamic jurisprudence to confront extremism stems from late 2015, Haq said, the same year Maarif and the Mizan publishing house produced a book titled Fikih Kebinekaan, or Diversity Fiqh. That book, containing articles from a wide variety of Muhammadiyah-affiliated scholars, presented a framework on dealing with contemporary challenges while staying firmly rooted in the methodology employed by Islamic jurists. Islamic jurisprudence or fiqh serves to help people understand and implement shariah, which comprises the various teachings of Islam that observant Muslims consider sacred and thus immutable. Worldwide, the Sunni tradition knows four major schools of jurisprudence, or maddhab: Hanafi, Syafii, Maliki and Hambali, with each placing different emphasis on the various sources of legal argument, such as the Koran, the Sunnah or conduct of the Prophet Muhammad, or the views of his earliest companions, for instance. In Southeast Asia, including Indonesia, the Syafii maddhab is predominant. Its legal rulings are primarily based on the Koran, Hadith, consensus of the ulema (ijma) and analogical reasoning (qiyas). Muhammadiyah scholars, however, place little emphasis on any maddhab and focus primarily on the Koran and Sunnah as their main jurisprudential guidelines. As a puritan, modernist and reformist organization, it does not believe it should be confined to any school of legal thought. Such openness in theory allows religious scholars in the Muhammadiyah tradition to incorporate any idea that does not contradict the Koran or the Sunnah. Reform for Muhammadiyah has always been about purification of the faith in theological terms. The rejection of syncretism and blind taqlid – following the interpretations of previous experts – means Muhammadiyah scholars are perfectly positioned to promote a renewed focus on reasoning independent of the confines of the madhhab, known as ijtihad. Fiqh, at least in theory, is an ongoing interpretation of the Islamic principles guiding Muslims in their daily lives. While shariah is mainly based on revelation, and therefore often rather abstract, fiqh is based on human reasoning and much more practical. It addresses a wide range of topics, from how to perform ablutions or prepare food to selecting a leader or going to war. Hard-liners with a political agenda, however, tend to disregard fiqh, as it complicates their goal of rallying the faithful behind a one-dimensional cause. As Vincent J. Cornell, a professor of Middle East and Islamic Studies at Emory University in the US, writes in The Oxford History of Islam: “A common belief fostered by modern political Islamists is that only the shariah – but not fiqh – constitutes the true law of God. According to this perspective, the content of the shariah is to be found in the Koran, the Sunna, and in cases in which consensus has been reached among the four Sunni schools of fiqh. Syamsul Anwar, the chairman of Muhammadiyah’s Tarjih and Tajdid Council, which is tasked with ruling on legal matters in the religious domain, in Fikih Kebinekaan explained the concept of Maqashid al-Shariah, which plays a crucial role in the effort to revitalize fiqh. It refers to the overarching goal, or purpose, of shariah. In other words: what the Creator had in mind for creation. Anwar concluded that it should be possible to change certain laws, if necessary through ijtihad. “Legal provisions that because of the changing times and era are no longer in tune with the goal of shariah, can be changed, under certain conditions,” said Anwar, who is a professor in the shariah department at the State Islamic University (UIN) Sunan Kalijaga in Yogyakarta. His reasoning lies at the core of the argument for the reinterpretation of legal arguments in Islam, and in theory can be applied to the entire corpus of fiqh; from deciding whether food is halal or haram to the need to fight for a caliphate. The Maarif Institute’s Darraz said that the goal of anti-terrorism fiqh is to reinterpret certain Islamic doctrines that have been misappropriated by hard-line theorists, like the concepts of jihad, khilafah and bai’at. The new approach questions the arguments used by Indonesian fighters who have pledged allegiance (bai’at) to ISIS leader Abu Bakr al Baghdadi, whose campaign they consider an acceptable form of jihad. To counter such beliefs, one could for instance argue that the concept of the caliphate (khilafah) as a political system cannot be found in the Koran, said Darraz. Explaining the Muhammadiyah way, Haq said science and intellectualism are crucial, which is why the organization doesn’t stage rallies at the State Palace or elsewhere to make itself heard in confrontational ways. Instead, Muhammadiyah files lawsuits or uses forensics to establish cause and effect, with the high-profile Siyono case being a prominent recent example of the latter. The 34-year-old terror suspect died after his arrest by Detachment 88 in March. Police claimed the man died as a consequence of injuries he sustained in a scuffle with an officer, during which he bumped his head, but an autopsy commissioned by Muhammadiyah and the National Commission on Human Rights (Komnas HAM) suggested that Siyono was killed by a severe blow to the chest and that he suffered other severe injuries as well. On May 10, two Detachment 88 officers were found guilty – by a closed police tribunal – of negligence in Siyono’s death and ordered to be transferred to other units. They also were told to apologize. Police said they would stick to the results from the autopsy carried out by police doctors, not those of the activists. Criticism of Detachment 88, in particular because of the elite unit’s alleged predisposition to shooting first and asking questions later, is common among Islamist activists. Muhammadiyah has consistently insisted on respect for the rule of law and human rights in combating terrorism, setting it on a collision course with the government at times. Against this background, it is no surprise that some within the country’s second-largest Islamic organization remain skeptical of the Maarif Institute’s anti-terrorism initiative and the fact that senior government officials were present at the seminar in Semarang alongside Nashir. “We are aware that there are some people in Muhammadiyah who want to avoid working together with the government in terms of counter-terrorism, especially the BNPT (the National Counter-Terrorism Agency) or Detachment 88,” said Haq. At the anti-terrorism fiqh event in Semarang, Nashir met not only with Panjaitan but also with the head of the BNPT at the time, Gen. Tito Karnavian, a terrorism expert who has since been promoted to chief of the National Police. It was as if the government finally had ears for Muhammadiyah, after years of listening primarily to its traditionalist rival NU. 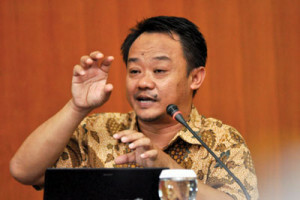 The appointment of a Muhammadiyah-affiliated professor, Muhadjir Effendy, in late July to replace the popular Anies Baswedan at the helm of the Basic Education and Culture Ministry may also be seen in this light, while NU people lead key ministries such as religious affairs and social affairs. Haq said elements within Muhammadiyah fear an attempt at co-option by the government, while the country’s top officials actually remain more interested in cooperation with NU as a strategic partner because Muhammadiyah tenets are seen by some as being too puritan. Indeed the organization recognizes Taqi ad-Din Ahmad ibn Taymiyyah and Muhammad ibn Abd al-Wahhab – medieval scholars who both strongly influenced the present-day Salafi-jihadi movement – as great reformers of the faith. According to Haq, however, Muhammadiyah’s founder Ahmad Dahlan successfully combined the puritan tenets of the likes of Ibn Taymiyyah and Wahhab with the thought of the modernist Egyptian Islamic scholar Muhammad Abduh (1849-1905) – the thinker who said he saw Islam in the West, but no Muslims, and plenty of Muslims in the East, but no Islam. The result of this mixture of ideas, explains Haq, is a puritan theology not unlike Protestantism, but because of its inclusivist social outlook it is perfectly able to thrive in a plural society like Indonesia. Not surprisingly, not everybody believes it will be useful to re-interpret Islamic jurisprudence in order to cleanse the world of the scourge of terrorism. M. Ismail Yusanto, spokesman of Hizbut Tahrir Indonesia, told Concord Review that fiqh is not the problem and that instead we should look at the bigger picture of global injustice. “It is forbidden for anybody – Muslim or non-Muslim – to kill anyone – Muslim or non-Muslim – without reasons that are justified under shariah,” he said. Even though HTI’s stated goal is the establishment of a caliphate ruled by shariah law, Yusanto says the organization has from the start rejected ISIS. In fact the main source of terrorism in the world today, according to the HTI spokesman, is the US. He is convinced that present-day terrorists are mere retailers, while the American government is the wholesaler. “Let’s take the example of Imam Samudra, who is considered a terrorist because he created an explosion on a stretch of street in Legian,” Yusanto said, referring to one of the 2002 Bali bombers who was executed in 2008 for his role in the attacks that killed 202 people, mostly Western tourists. Fiqh is clear: killing someone without basis in shariah is haram. That’s it. Cases like that of Siyono prove that Indonesia is also a battlefield in the so-called War on Islam, said Yusanto. “In Indonesia 120 people have been murdered by Detachment 88 in the name of fighting terrorism.” According to the National Commission on Human Rights (Komnas HAM), Siyono was the 121st terror suspect killed by Detachment 88 operators since its formation in 2004. 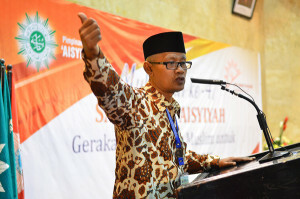 Abdul Mu’ti, the general secretary of Muhammadiyah’s central leadership board, has also gone on the record with criticism of Detachment 88, telling media that his organization rejects an overly militaristic approach in trying to preempt attacks. According to the senior Muhammadiyah functionary, terrorism in most cases serves a political goal and religion is used merely to legitimize the violence. “Religion is being abused in the interest of power,” said Mu’ti, adding that this means you cannot end terrorism merely by looking at theology, or by reinterpreting key concepts like jihad or amar ma’ruf nahi munkar (enjoining what is right and forbidding what is wrong – a fundamental principle of Islam). One of the problems in tackling terrorism is that some people muddy the water by consistently conflating such terms as Wahhabism or Salafism, or even just extremism, with terrorism, said Mu’ti. “I think that is a moderate political view, but if this group as a whole is then portrayed as supportive of terrorism, that is misleading,” said Mu’ti. “You have to look at these issues on a case-by-case basis. Mu’ti said there are peaceful extremists and violent extremists and that the repressive approach being used by Detachment 88 risks turning the former into the latter. That is why respect for human rights and the rule of law are important in fighting terrorism, he stressed. If the focus is shifted away from Detachment 88, it will be important to strengthen the BNPT and its coordinating role, said Mu’ti, and then, together with Islamic organizations a moderate understanding of the faith can be promoted to prevent terrorists from abusing the faith for their cause. 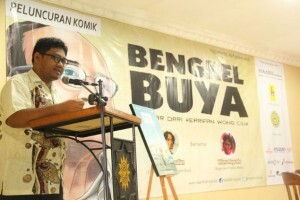 As Nashir, the present-day Muhammadiyah chairman, wrote in his book Muhammadiyah Gerakan Pembaruan (Muhammadiyah Renewal Movement) in 2010, the movement’s foundation created a backlash from traditionalist leaders that only convinced the revivalists that they were on the right track in their effort to return to authentic Islam. They argued that it was only true Islam, guided by knowledge and reason, and separated from cultural influences absorbed over time, that could restore the faith to its former glory. Key to Muhammadiyah’s endeavor was – and is – the adoption of elements from other cultures that can help further the goals of Islam, such as a Western school system, but also democracy. Its roots as a reformist movement suggest Muhammadiyah is open to change, but the huge organization also has a long-term perspective that ensures that any adjustment will be gradual. So even if the concept is adopted, the Maarif Institute’s anti-terrorism fiqh program will likely play second fiddle to a tried and tested rights-based approach aimed at curbing excesses of the government’s anti-terrorism drive. 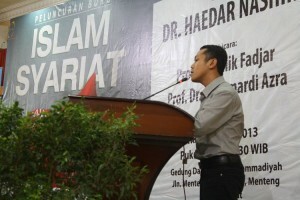 For Haq, the institute’s director, the long-term goal is an Indonesia based on truly Islamic values. He wants to create Islamic communities without an Islamic state, and without people pledging allegiance to leaders fighting for an un-Islamic cause in un-Islamic ways.